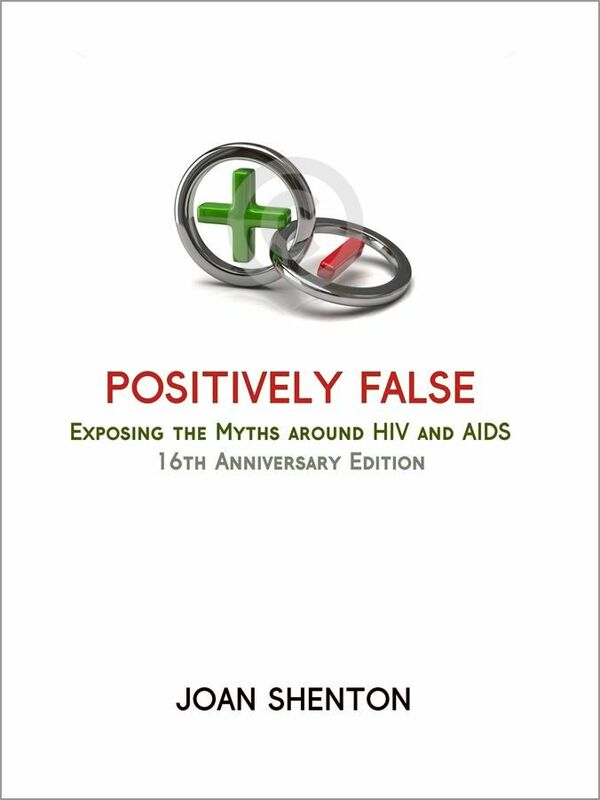 IRF is proud to announce that the Amazon Kindle eBook edition of Joan Shenton’s Positively False: Exposing the Myths around HIV and AIDS – 16th Anniversary Edition is now available internationally for pre-order for download on 4 February 2015 via the following links. Mohammed Aziz, Clark Baker, Nancy Banks, Henry H. Bauer, David Crowe, Elizabeth Ely, Celia Farber, Christian Fiala, Charles Geshekter, Roberto Giraldo, Mike Hersee, Neville Hodgkinson, Christine Johnson, Helen Lauer, John Lauritsen, Terry Michael, David Rasnick, Irina Sazonova, Liam Scheff and Manuel Garrido Sotelo. A Kindle device is not necessary as Kindle purchases can also be read via web browser at read.amazon.com [or your local site’s suffix, e.g. .co.uk] and dedicated applications for Windows/Mac, many smartphones and tablets. Your card will not be charged by Amazon until the day of release. If you prefer having a printed copy, a paperback edition will be released in late January 2015.